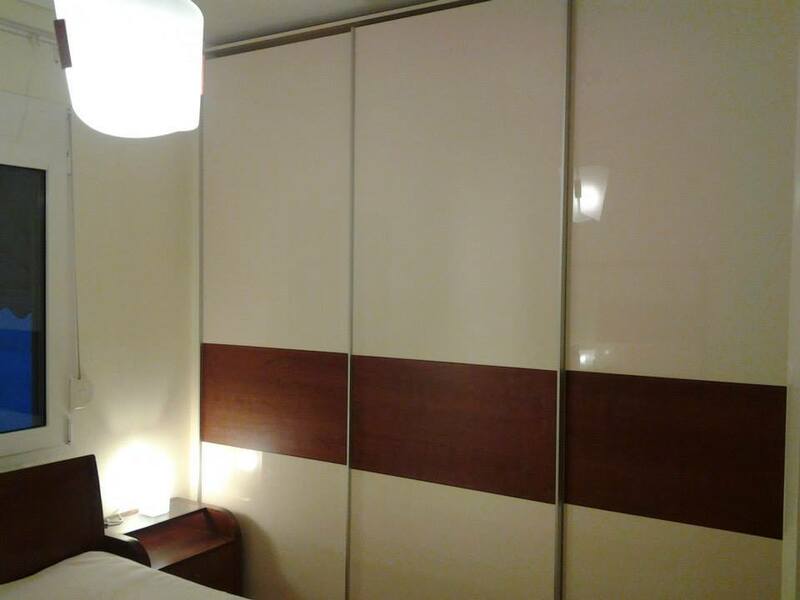 Our company manufactures heavy duty wardrobes with sliding doors in every size and texture according to the customer’s order. 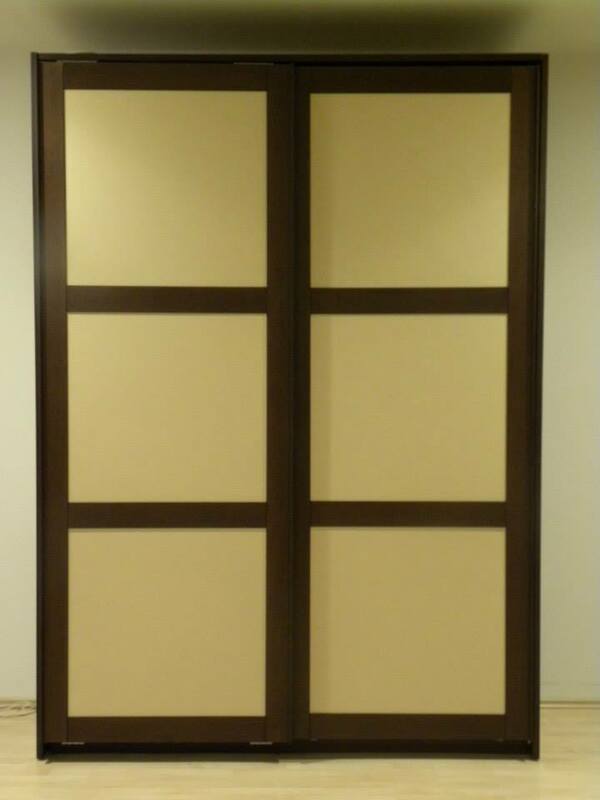 The mechanical devices of the doors are the best in the market with brakes and smooth functioning. 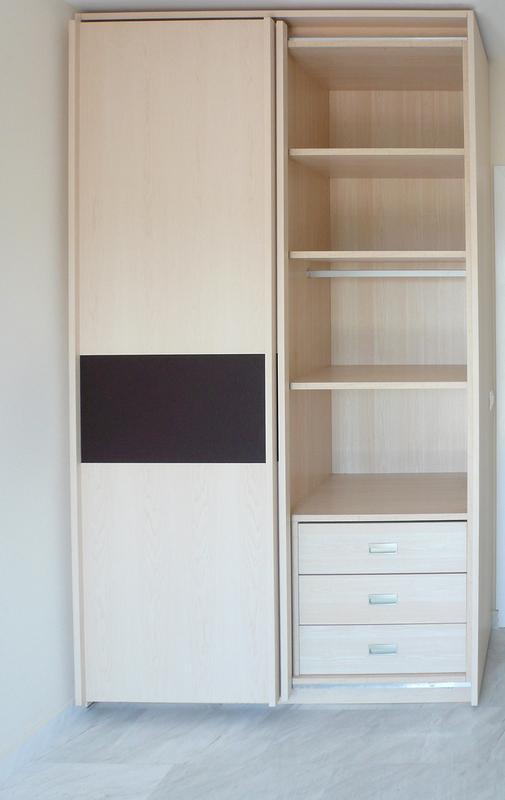 Wood, glass, melamine, leather and lacquer are some of the materials that we use as single materials or in combination with each other. 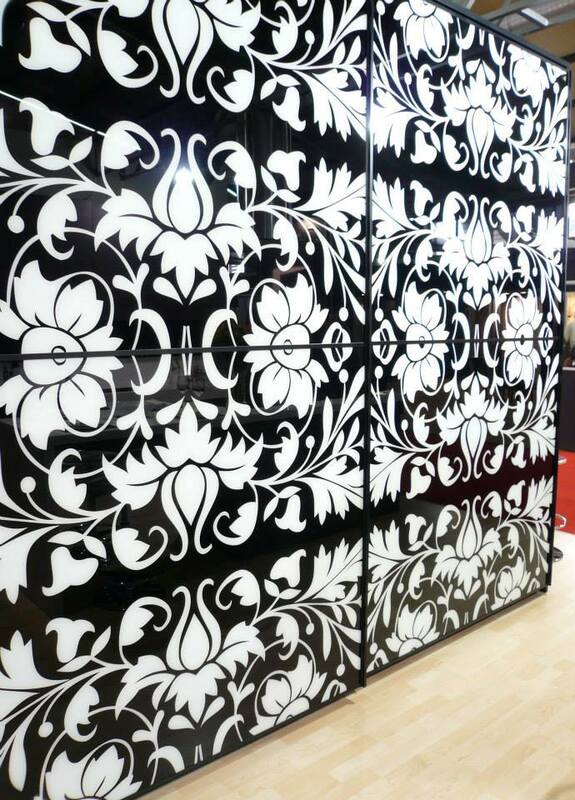 The glass with the digital print makes a special impression. 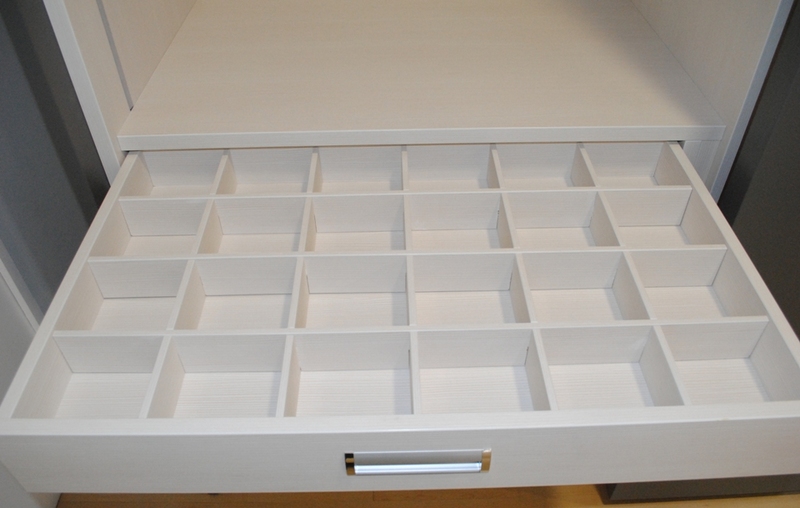 This can show whatever design from our samples or your own. 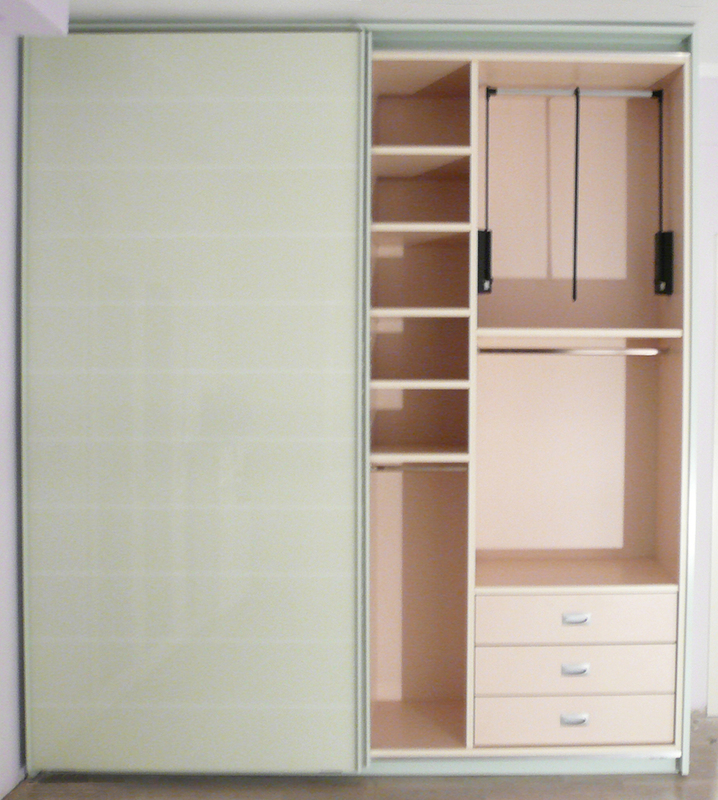 Double-door, sliding wardrobe with a VW type device . 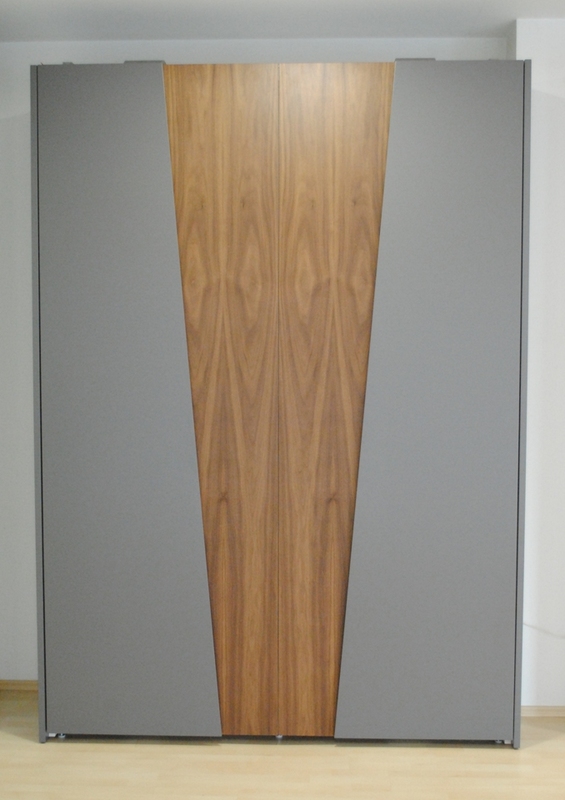 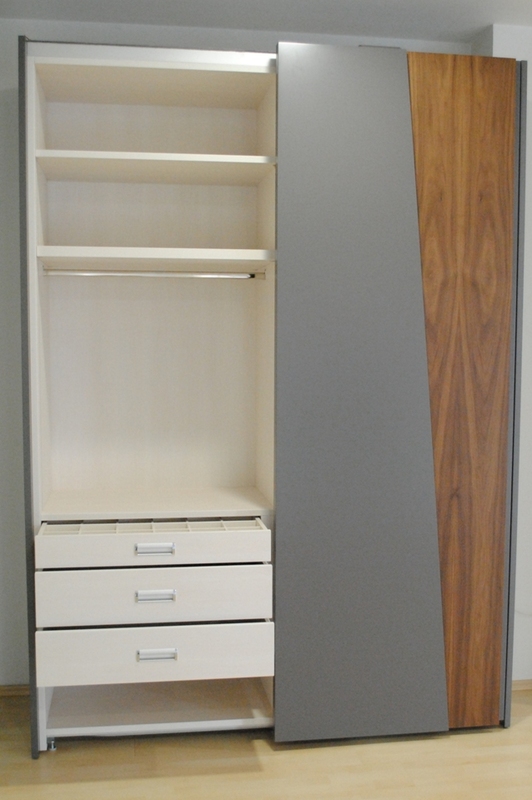 The combined materials are walnut with gray matte lacquer. 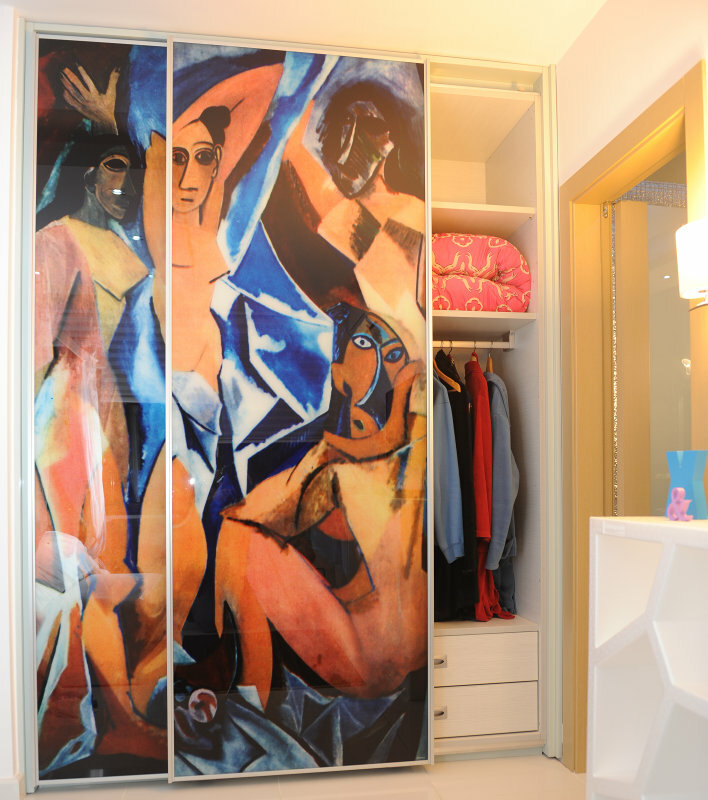 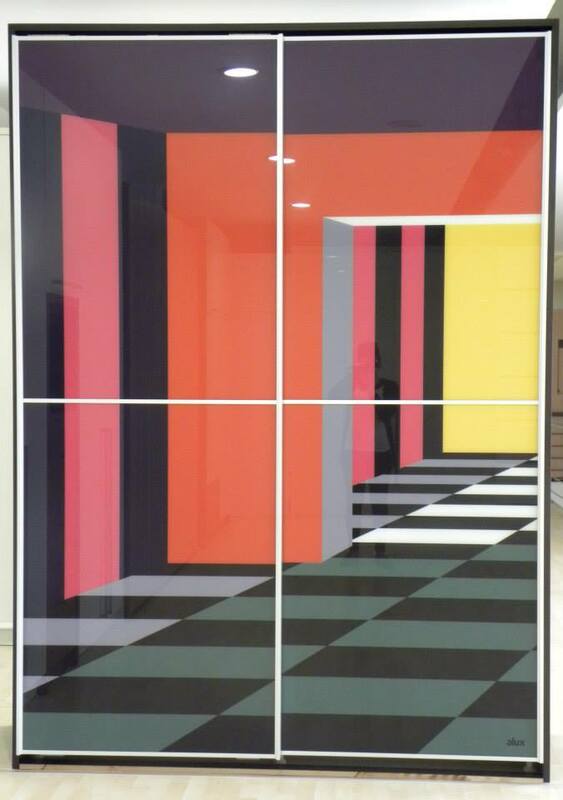 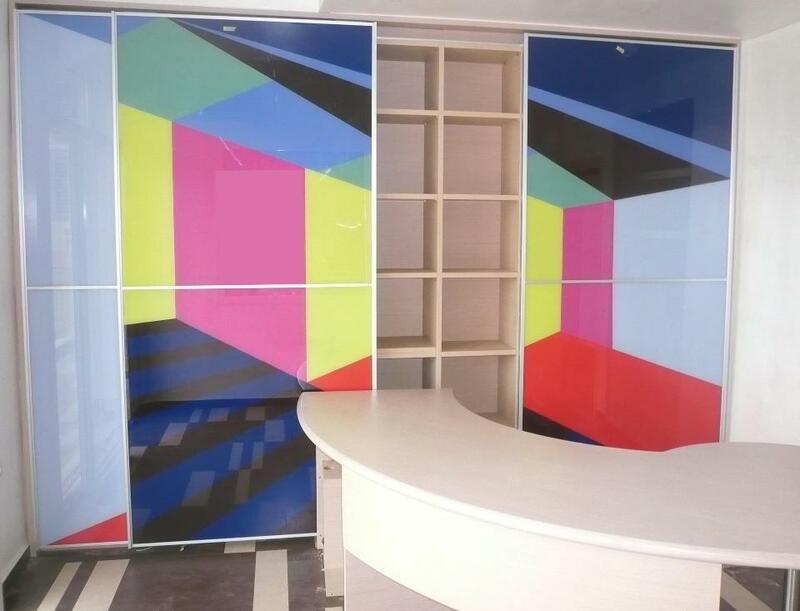 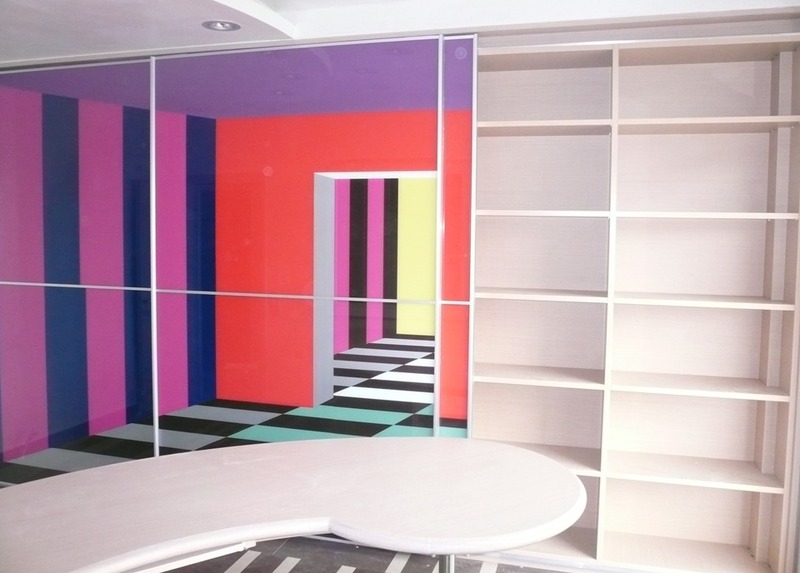 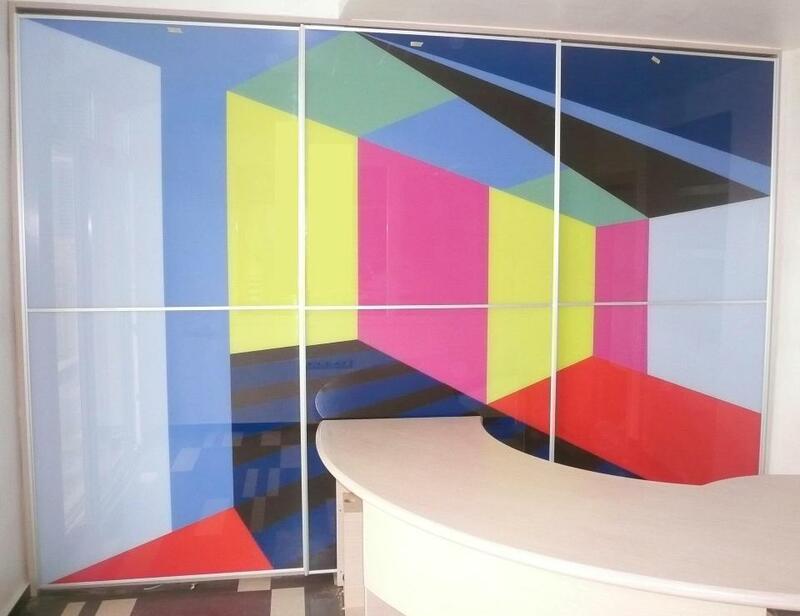 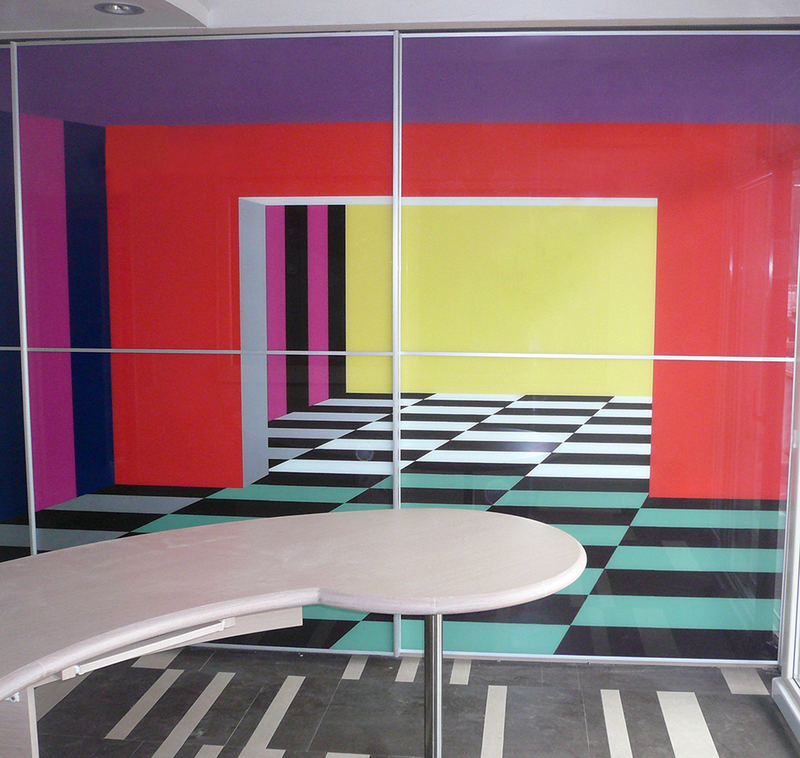 Wardrobes with digital printing, glass doors. 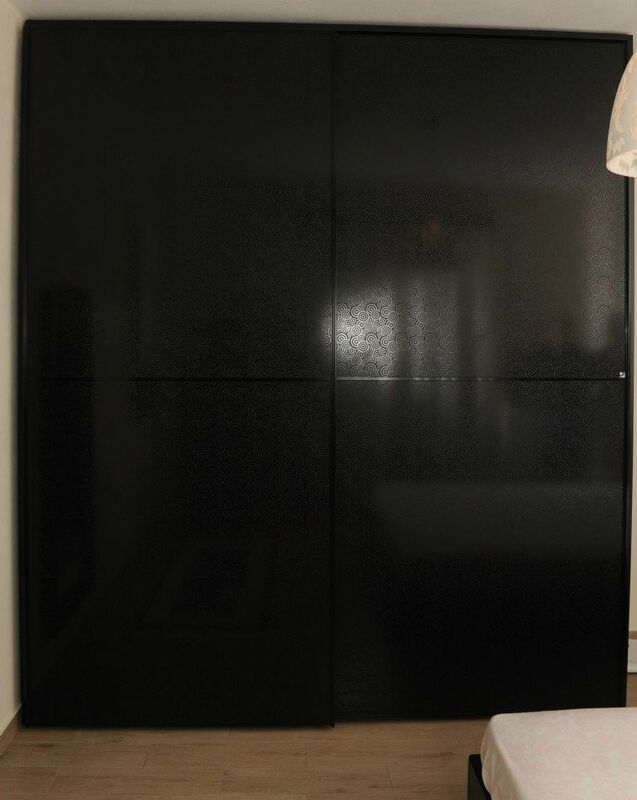 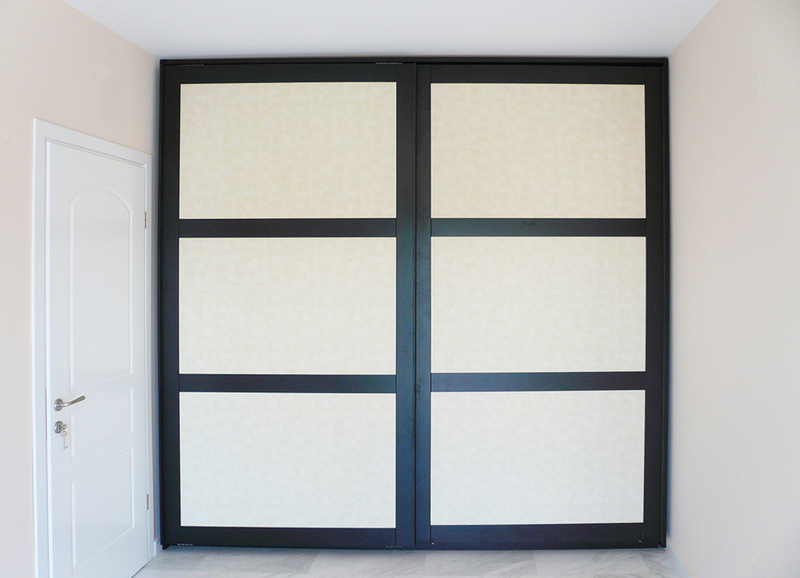 Wardrobe with embossed pattern, black lacquered glass doors. 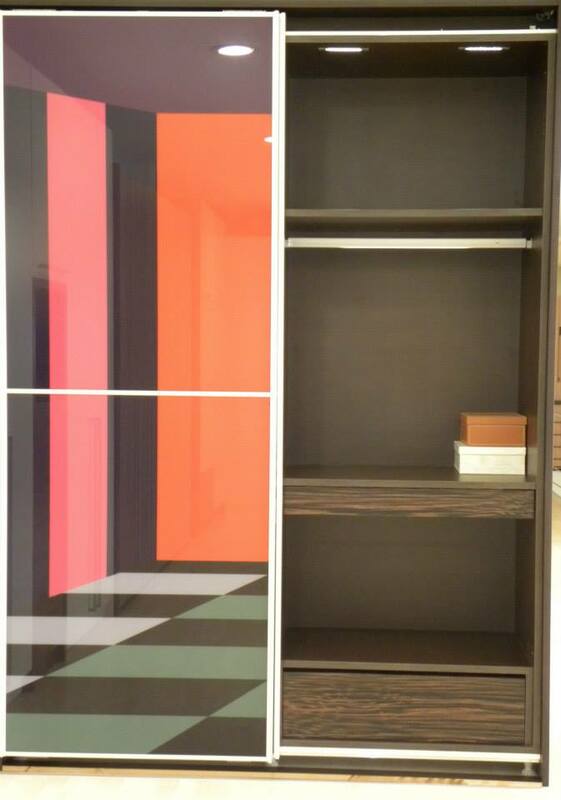 Wardrobe with digital printing, glass doors. 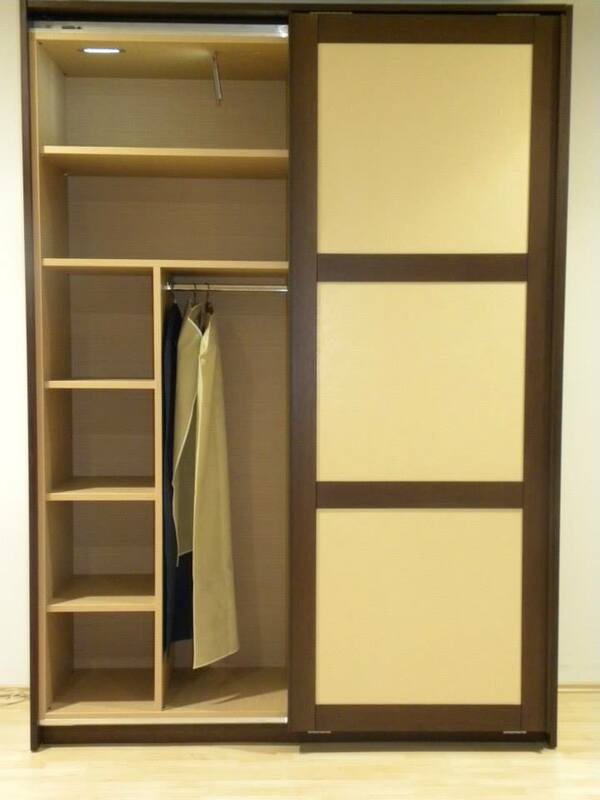 Three-door, sliding wardrobe with a combination of beige, glossy lacquer and cherry wood. 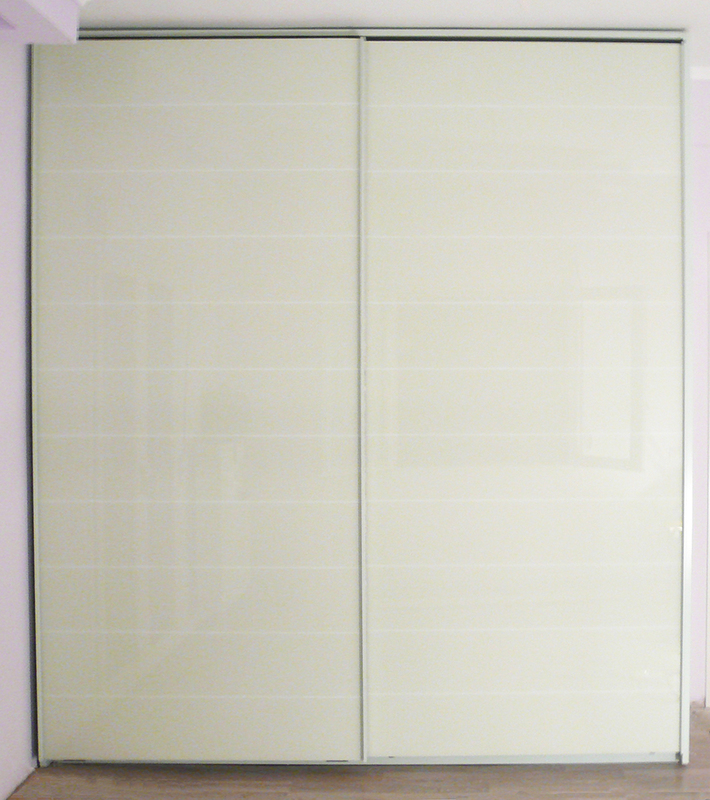 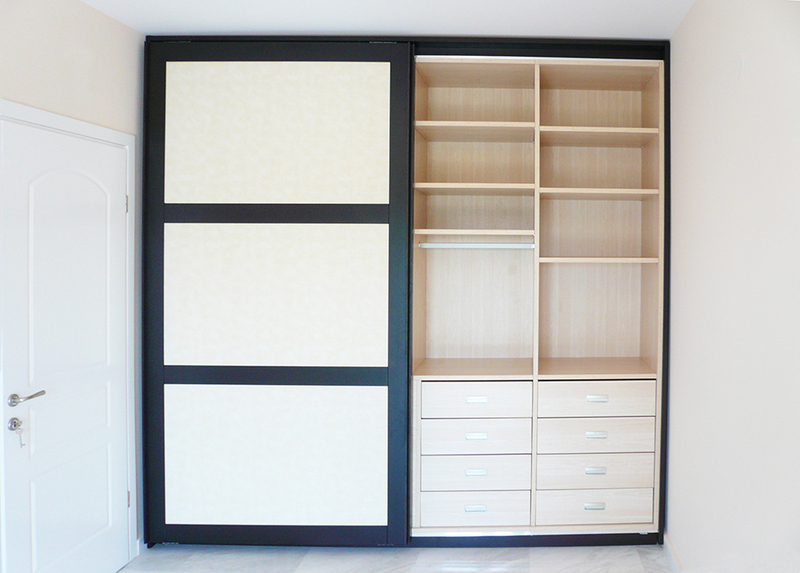 Double-door wardrobe with large, lacquered glass doors. 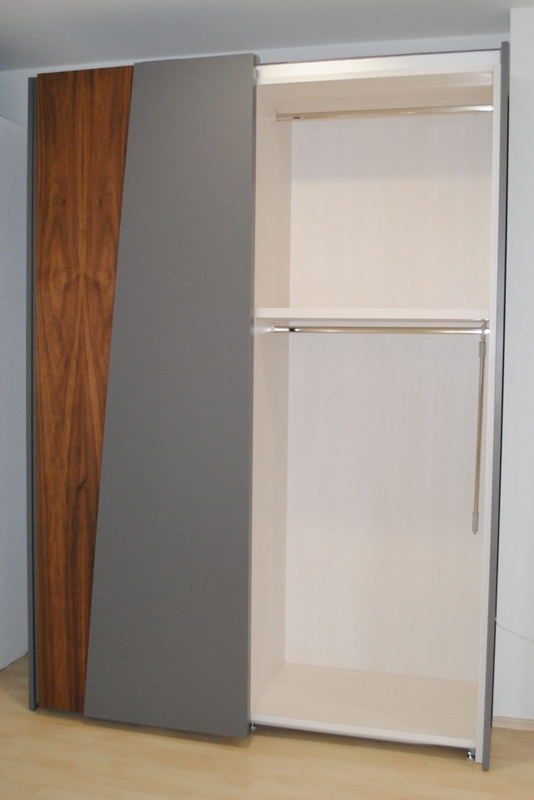 Double-door, beige melamine wardrobe with lacquered detail. 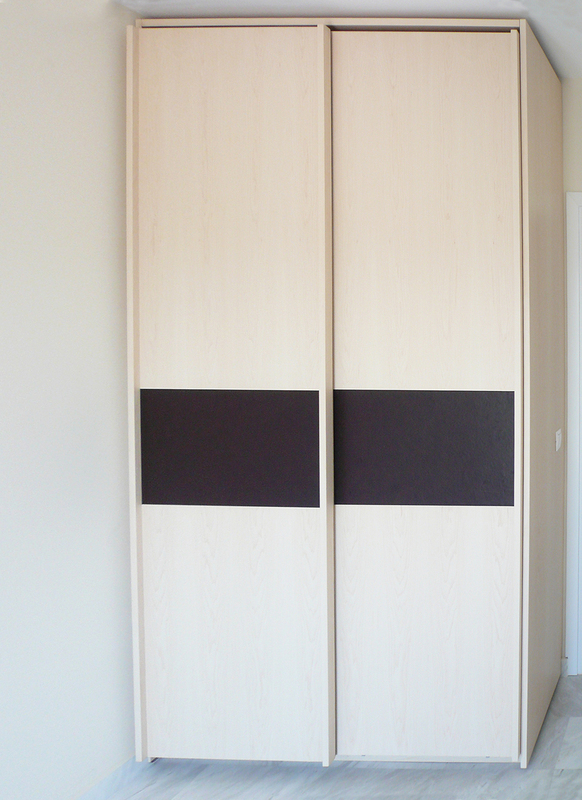 Double-door wardrobes with a combination of oak and beige imitation leather. 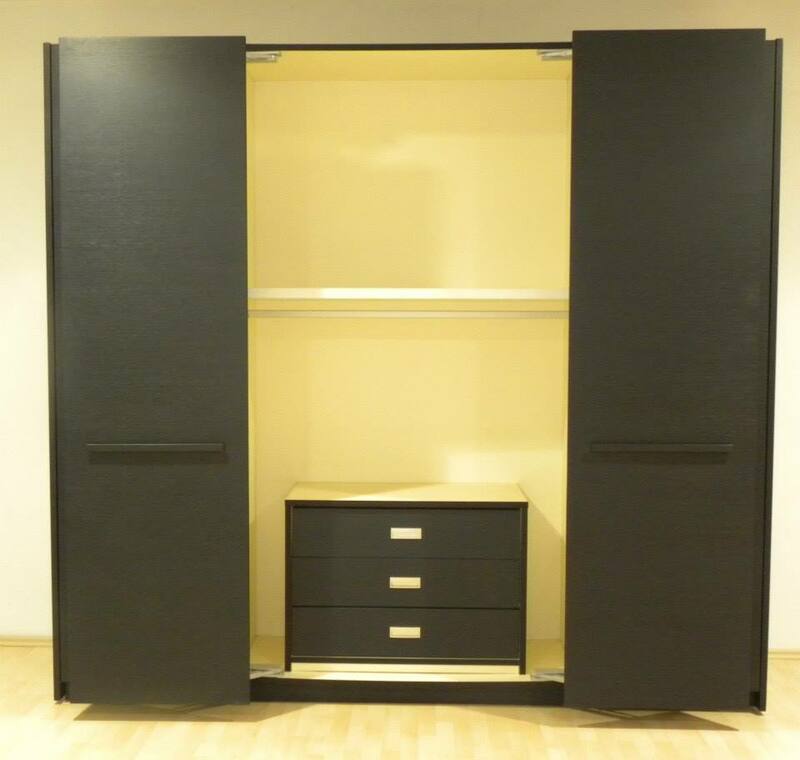 Four-door, oak, matte lacquered wardrobe with a special mechanism that is pulled and moves right and left. 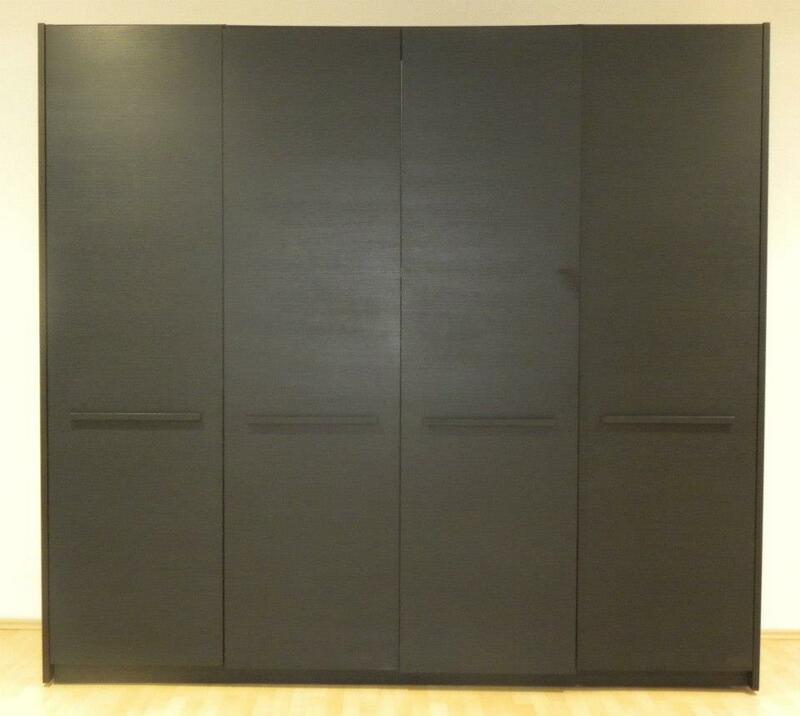 The end panels of the wardrobe are opening.